Michael Riley's career started in 1982, when he enrolled in a photography workshop at the Tin Sheds Gallery, University of Sydney, and later became the photographic technician at the Sydney College of the Arts. Riley's family and friends are his constant inspiration, and his work is characterised by a strong sense of intimacy that inherently challenges the negative portrayal of 'otherness' in historical ethnographic portraiture. 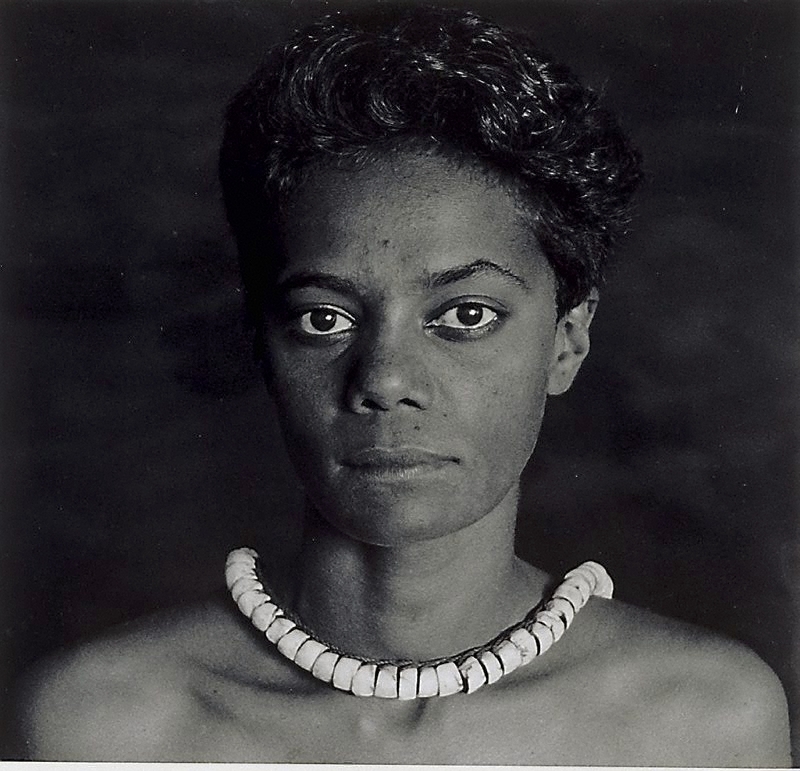 In 1986, Riley was included in the first exhibition of Indigenous photography at the Aboriginal Artists Gallery, Sydney, exhibiting five portraits of black women, one of which – 'Maria', 1985 – seemingly appropriates historical depictions of Truganninni, the woman martyred as the last of the Aboriginal people in Tasmania. In 1986, Riley and nine other Sydney based artists established Boomalli Aboriginal Artists Cooperative. He worked concurrently at Film Australia, where he wrote and directed his first film 'Boomalli: Five Artists', 1988, followed by the highly acclaimed 'Dreamings', 1988, a documentary made for the exhibition of Aboriginal art at the Asia Society Galleries, New York. Riley continued to celebrate Aboriginal women in 'Portraits by a Window', 1990 and the 1991 series 'A Common Place Portraits of Moree Murris'. From 1993 Riley's work focused on self-abuse as a symptom of colonisation, represented in 'Sacrifice', 1993, a series of images of icons, such as Aboriginal hands displaying stigmata. He was commissioned by the Museum of Sydney in 1996 to create Eora, a permanent video display dedicated to the people of Sydney. In this work, he presented a subversive juxtaposition of traditional and contemporary Aboriginal culture. Riley surveyed the environmental destruction of his country as a metaphor for the encroachment on Aboriginal culture in his film 'Empire', 1997, and the photographic series 'Fly Blown', 1998. These works juxtaposed images of Christianity and roadkill with the parched Australian environment, and were shown as a satellite exhibition of the 1999 Venice Biennale. Riley returned to community portraits in 1999, with the series 'Yarns from Talbragar', depicting members of his father's Wiradjuri community in Dubbo and echoing his 1991 Moree series, centred on his mother's Gamilaroi family first digital series, 'Cloud', 2000 was included in Photograhica Australis at ARCO in Spain, the Fourth Asia-Pacific Triennial of Contemporary Art at the Queensland Art Gallery, Brisbane, and the 2003 Festival of Sydney. Isolated against an emblematic blue Australian sky, a cow, a bible and a boomerang each symbolise pastoralism, religion a Aboriginality – questioning who belongs within Australia. Signed and dated l.l., black marker "M.Riley 1985". Brenda L. Croft, One sun one moon: Aboriginal art in Australia , ‘To be young (at heart), gifted and blak: The cultural and political renaissance in Indigenous art in Australia’, pg. 285-293, Sydney, 2007, 284 (colour illus.). Jonathan Jones, Tradition today: Indigenous art in Australia , 'Michael Riley', pg. 126, Sydney, 2004, 127 (illus.). Hetti Perkins, Look , 'One sun one moon', pg. 22-27, Sydney, Jun 2007, 25 (illus.). Hetti Perkins, Art + soul: a journey into the world of Aboriginal art , 'Bitter + Sweet', pg. 174-239, Carlton, 2010, 218-219 (illus. ), 220, 281. NOTE: The artist is photographed infront of the work on page 218. The photograph and Australia , Sydney, Jun 2015, 109 (colour illus.). Half light: Portraits from black Australia , 'Michael Riley', pg. 110-119, Sydney, 2008, 113 (colour illus.). Art Gallery of New South Wales: highlights from the collection , Sydney, 2008, 46 (colour illus.). Racism, representation and photography , Stanmore, 1994, 145 (illus.). titled 'Polly'.